Bill Bernbach famously said, “the best advertising is word-of-mouth”, and this was from the best advertising creative guru in the country at the time. 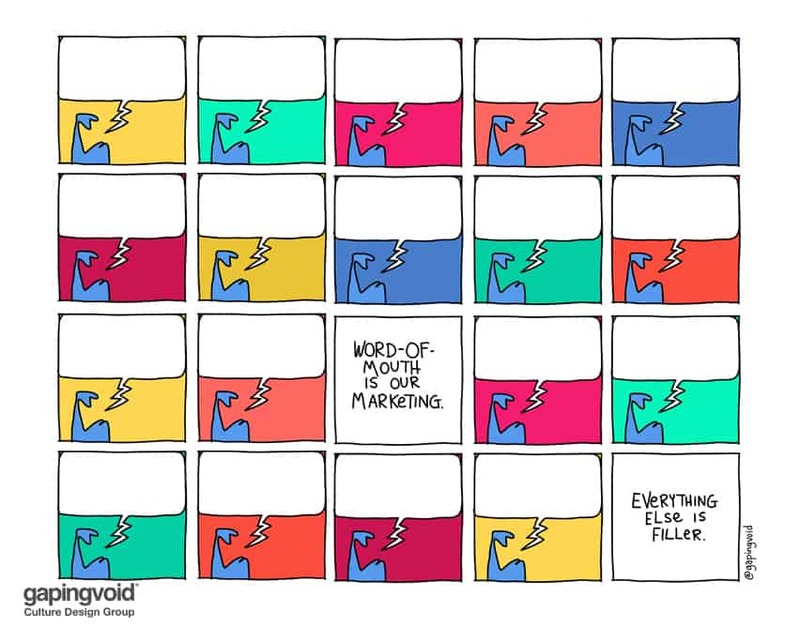 Word-of-mouth is the best, true, but it isn’t the only. Otherwise ad agencies wouldn’t exist. Nor would most mainstream media. But for some businesses, word of mouth is the Big Kahuna. In this case, without that you don’t really have a business, you just have a lot of hundred-dollar bills flying out the window. Good examples of that would be a local hipster restaurant, or the people who mow your lawn. If your neighbors aren’t singing their praises to everybody around, they won’t be around for long. So now the next thing you need to ask is, is your business in a similar situation? And if it is, then you need to get your people to focus on that, and worry less about PR, advertising, direct mail and all the other stuff. It’s much harder than it looks.